1. Free samples can be offered. 2. We promise to answer your inquiry within eight hours. 3. The guarantee period is one year. 4. We are happy to offer OEM service for you. 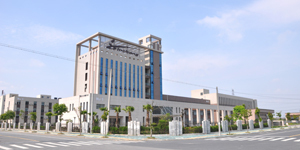 Jiashan Jinchang Electron Co., Ltd (Jinchang Company/Jinchang Electron) is engaged in high frequency antennas R&D, designing, manufacturing and selling for 28 years. HF antennas are key components of communications equipment, such as radar and radio navigation facilities (GPS/GSM devices and vehicles).